Kongsberg, Norway, 1st April 2019 – Following European Commission approval, Kongsberg Maritime parent company Kongsberg Gruppen (KONGSBERG) has today completed the acquisition of Rolls-Royce Commercial Marine (RRCM). Officially part of Kongsberg Maritime, RRCM will operate under the KONGSBERG brand and the Kongsberg Maritime legal entity. KONGSBERG announced its intention to acquire RRCM, an established and trusted global supplier of maritime technology and engineering products, in July 2018. 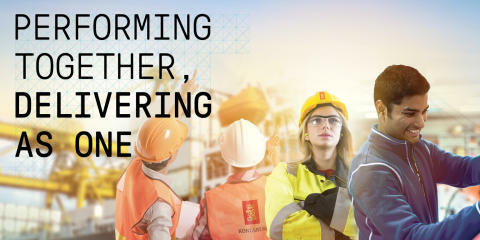 With the unification of Kongsberg Maritime and RRCM, KONGSBERG is represented in 40 countries, has more than 11,000 employees and an annual turnover of more than NOK 22 billion. A fleet of more than 30,000 vessels depends on the organisation’s combined expertise. With RRCM, Kongsberg Maritime expands its global presence and customer proximity, empowering more sustainable, safe and secure marine operations for all vessel types through cutting-edge operational technology including automation, navigation and control systems. RRCM’s expertise also strengthens KONGSBERG’s leadership in maritime digitalisation, ship intelligence and enabling technologies for autonomous vessels. “I am looking forward to welcoming 3,600 highly skilled new colleagues. 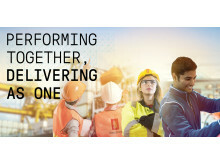 Together we will work for a fast and smooth integration of people, cultures, products, solutions and innovative work. Through world-class technology, customer focus, the power to innovate and the willingness to change, we will deliver the results we have promised,” adds Executive Vice President of Kongsberg Maritime, Egil Haugsdal. Kongsberg Maritime is a global marine technology company providing innovative and reliable ‘Full Picture’ technology solutions for all marine industry sectors including merchant, offshore, cruise, subsea and naval. Headquartered in Kongsberg, Norway, it has manufacturing, sales and service facilities in 34 countries.